Bouvet is a Scandinavian consulting company with 1,350 employees in 13 offices across Norway and Sweden. The company offers a wide range of services, including system development, system integration, project management, digital communication, user experience, and training courses. Starting in 2016, Bouvet decided it was time to change their digital presence entirely, going from a regular product-catalogue website to a communication platform not only for their customers but also for their own employees. The goals were to recruit the right people, increase sales, and strengthen Bouvet’s brand. Becoming a company valuing more sharing and caring among its employees is certainly easier said than done. Also, engaging a legion of employees is one thing, but how to do it technically is another matter. Bouvet had to find out what type of architecture, system, and solutions they would go for, and then they had to discover if there was any platform out there ready to handle so many users and scale appropriately. 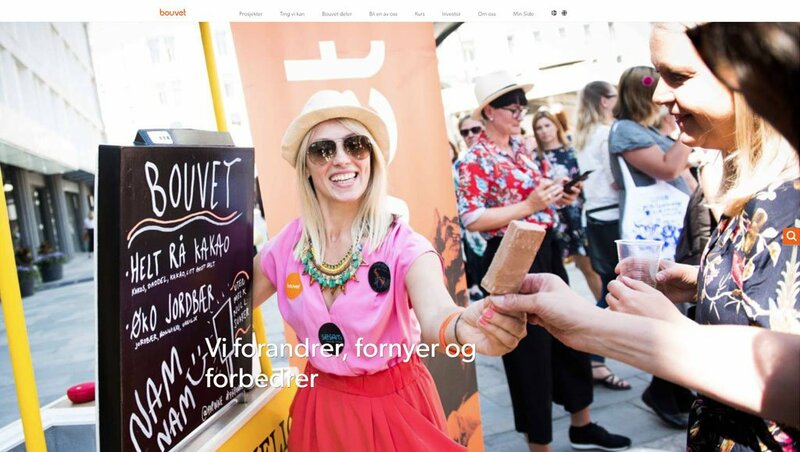 Moving from low activity in digital marketing to becoming an integrated digital customer experience and “e-business” required a solution that could handle the scope of users and the visual storytelling Bouvet was opting for. After an evaluation process involving four different providers, Enonic XP was chosen. The first step in generating value from beyond regular sales was to engage and create value for the employees as well as the customers. All the 1,350+ employees were invited to join the party through blogging by integrating a single sign-on solution. With Enonic XP’s user-friendly Content Studio, creating and organizing content is a smooth process. It also leverages Bouvet’s “show, don’t tell” strategy—by actually letting the co-workers easily share what they do, and thus enabling them to see what is shared with both colleagues and clients. In order to gain customer insights, Bouvet installed tracking and analytics tools through Enonic Market, making it possible to analyse customer behaviour patterns and generate insights. At the same time, due to Enonic XP’s responsive and scalable nature, Bouvet was able to offer a multichannel and integrated customer experience across mobile, social, and online platforms. From the first user analyses in spring 2016 through concept development in fall 2016, the new Bouvet digital experience on Enonic XP launched during summer 2017. Now all 1,350 employees can publish content about their workday, skills, or experiences from the palm of their hand or their desktop. Never standing still, Bouvet is always aiming to improve user experience and customer journeys, and an even easier way to manage sign-in and publish tree logic are currently in development. In the meantime Bouvet’s website experiences continuous visitor growth and employee engagement.